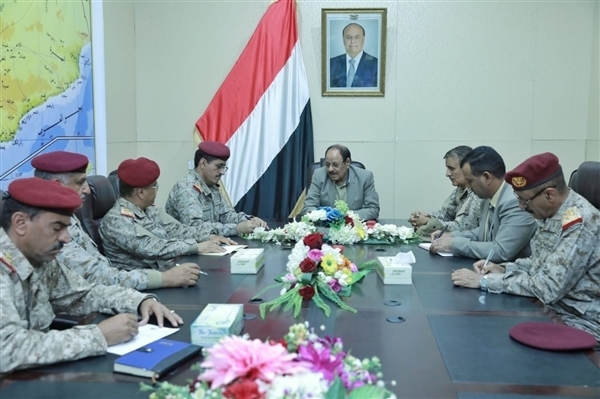 Alsahwa Net- Vice President Ali Muhsin Saleh on Saturday arrived in Marib, holding a meeting with Chief of General Staff Tahir al-Aqili and other senior Yemeni commanders. Hadi was briefed on fields updates, praising gains achieved by the army in different fight fronts. 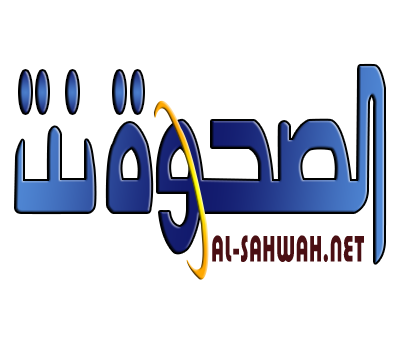 In the meeting attended by Commander of the Saudi-led Coalition's forces in Mareb General Awn al-Qarni, Saleh highly appreciated support provided by the Saudi-led Arab Coalition for the Yemeni army. He renewed the government's choice of peace based on the three terms of references; the GCC Initiative, the outcomes of the National Dialogue Conference and the UN Resolution 2216. 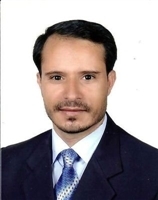 He confirmed the Yemen army is waging defensive war against the Iran-backed Houthi militia for regaining the state, pointing out that that government seeks to realize peace and stability to Yemen and the region.